Our core mission is brain injury prevention. We accomplish this mission by distributing safety helmets and educational materials throughout our local community. The Foundation educates young people and their families about the dangers and consequences of failing to wear safety gear, particularly helmets. The Foundation promotes safety and brain injury prevention to youngsters and adults engaged in any skating or cycling sport (skateboards, in-line skating, bicycling, and foot powered scooters). Our approach is simple and direct. 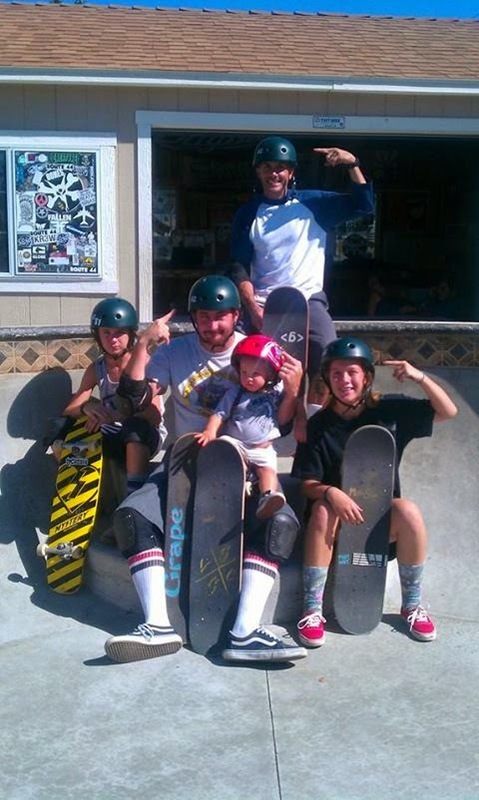 If you pledge to wear a helmet when skating, the Foundation will give you one…FREE! Ian Tilmann loved skateboarding and spent many hours enjoying the sport. He loved feeling the wind surrounding him as he sped downhill carving each and every curve of the road beneath him. He was fearless with a strong belief in enjoying life to its fullest. He was a street surfer...his passion was long-boarding. On the evening of May 16, 2005, Ian and several friends were skateboarding down Hercules Ave. in Clearwater, FL on a hill known locally as Cemetery Hill. As he was making his last run down the hill that evening his skateboard suddenly stopped and he was thrown headfirst onto the pavement. Ian was NOT wearing a safety helmet and as a result he suffered severe traumatic brain injuries. Ian never regained consciousness and died 10 days later on May 26, 2005. This beloved son was 28 years old. When people hear Ian's story many ask with shock and disbelief "he died from falling off a skateboard"? His parents believe their son's death could have been prevented by simply choosing to wear a helmet. Ian Tilmann had a passion for humanity and helping others. His family and friends understood this passion and his "pay it forward" attitude. It is their hope that through their tragic loss they can pass on Ian's passion for humanity by saving other families the pain that we have endured.